We breed for ourselves first, if we have a variety pop up that we are not currently working with, we will offer it to the fancy as a brood or show prospect, if the animal is free of disqualifications. If the pig is found to have a disqualification, it will be offered as a pet. Our goal is to eventually have an outstanding herd of registered grand champion stock to work with. However, this can take many years to obtain. We are slowly working on placing our original foundation stock into retirement, also known as loving pet homes. 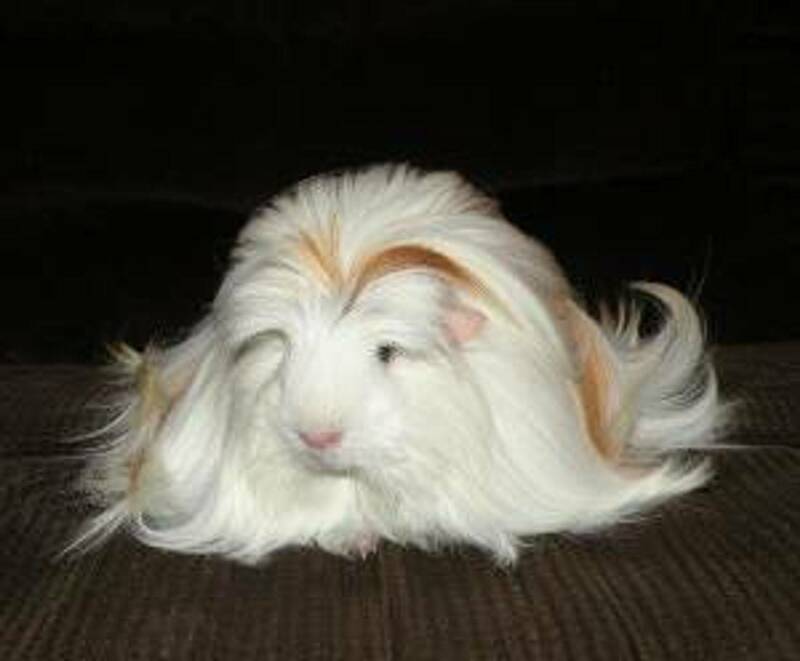 After owing our first cavy before 2011 and deciding to become serious about the cavy fancy in 2012 we are pleased to announce that we are on our way to some registered Coronets, Peruvians and Silkies. Fuzzibutt's Tickle Me Elmo, Reg. Fuzzibutt's Dancin Thru Life, Reg. Fuzzibutt's It's My Turn, Reg. Fuzzibutt's She's All That, Reg. G.C. Fuzzibutt's Cotton Candy, Reg.